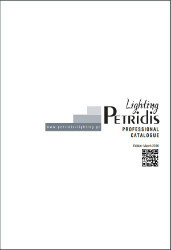 PETRIDIS S.A. is a modern commercial and manufacturing company present in the lighting market for almost 55 years. Its production plant and warehouses are located in Agios Athanasios, Thessaloniki and cover an area of 10.000 sqm. The company owns the most updated technologically production equipment and controls every stage of its production and the quality of the products by the application of certified production systems. Simultaneously, the company since 1995 cooperates with a similar production facility in Bulgaria named MEGA Lux Lighting, in order to satisfy the needs of the local market and neighboring countries. Petridis S.A. is one of the first companies that applied to its production process the ISO 9001 quality system, CE certification, prescribed by the European Union legislation, and also has its own knowledge of quality control and measurement results. The company's products are available in six (6) showrooms in total, two in Thessaloniki, 44 Agias Sofias str and 6 Adrianoupoleos str - Kalamaria, one in Athens, 70 Ethinikis Antistaseos str- Halandri, one in Patra - 138 New HIGHWAY str, and two in Bulgaria (Sofia, Plovdiv).All the showrooms present lighting, applying the general principle that lighting cannot be explained or described but only presented. These showrooms have the necessary means in order to present the company's suggestions and solutions for the specialized customer requirements and they also provide to the clienys the necessary technical support for the selection of the optimal solution. 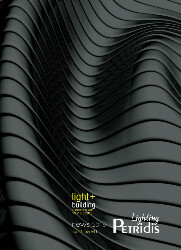 The products of the company satisfy a wide range of the lighting needs either to internal or external lighting. Among the company's customers several Industries, Banks, Hospitals, Sport Centers, Technical companies and Interior Design offices are listed. During the last years the company has adopted an investment program for the renewal of its product equipment and its plant. This program, that is totally self-financed will help the company to face the increasing demand, increase its market share specially in the field of professional lighting, facts that will maintain its leadership in the particular market, pioneer in quality and methods. 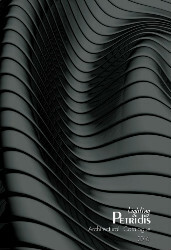 The company's philosophy is customer – human resources – product quality, which is a triptych with which achieves its continuous improvement and development. 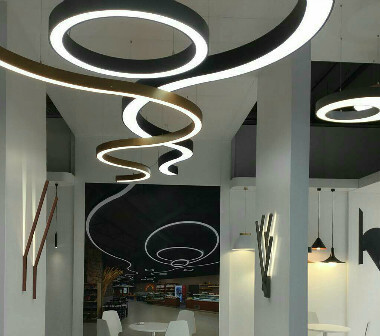 Petridis S.A. has established international co-operations with the most known companies of the lighting industry and has signed several agreements with them. The company monitors closely the international markets developments in product design, safety and operation cost reduction matters and specially those that relate to the place that need professional or labor lighting.